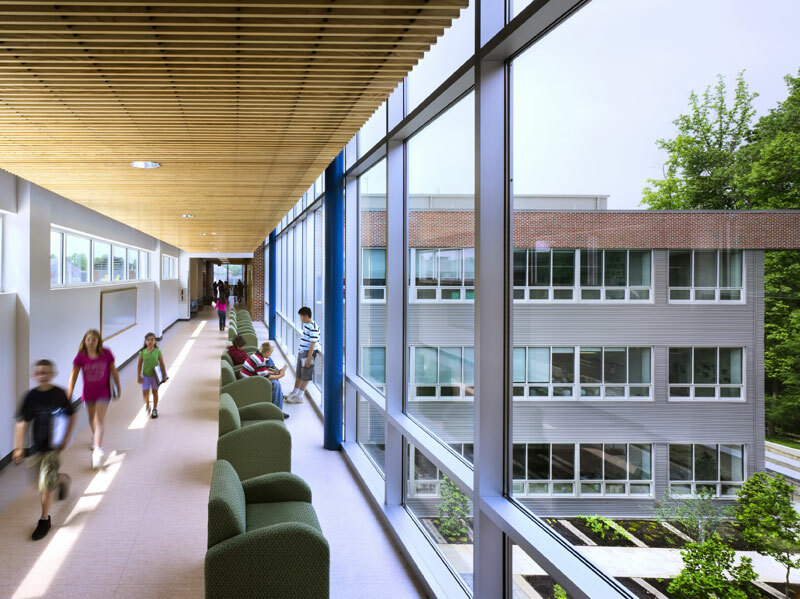 The integrated project team behind Manassas Park Elementary School influenced site selection and used computer modeling to maximize daylighting. The building won an AIA COTE Top Ten award (see Awards & Competitions). What happens when project teams buck the conventional, linear design and construction process in favor of an integrated approach? According to proponents of integrated design, they produce buildings with higher environmental performance at lower costs. Integrated design gets more design team members around the table, inviting collaboration across disciplines and spurring innovation. Although this process may appear to require more design time and cost more, proponents say that it merely shifts design costs to the front end of the process, saving time in construction documents. Examples abound of integrating a building’s systems cost-effectively—like downsizing the mechanical system in response to envelope upgrades.